Soreen is firmly established as Britain’s number one malt loaf, with its growing family of delicious fruit and malted products. It was in 1938 that a gentleman named John Sorensen first developed the soft, sticky, moreish malt loaf made to a top secret recipe. In 1939 the bakery had turned into a successful business with one oven, four bakery staff and two shop assistants. Aside from the mixing, all products were made by hand and delivered in small sales vans to local shops within a five mile radius. The secret’s in the squidge. Throughout our range of products, malt is a key element. The unique and clever use of malt is one of the reasons Soreen Malt Loaf is such a favourite as Malt helps give Soreen its brown colouring and unique sticky texture that everyone has come to love. The health properties of products containing malt or malt extract are often overlooked. In actual fact malt is a great, healthy source of natural energy, it’s also high in vitamins, minerals and trace elements too. That’s why Soreen Malt Loaf is a great snack for all today’s hungry, health conscious consumers. The malt helps give Soreen its brown colouring and the unique sticky texture that everyone has come to love. With innovation being a key focus since 2009, Soreen has successfully developed a range of snacking formats to fit the needs of our busy consumers including Lunchbox Loaves, Pre-Buttered Snack packs and Mini Loaves. Our other products include a Toastie loaf, a range of moist fruit loaves bursting with fruit pieces; Banana, Apple & Sultana, Fruity Five and Orange and a range of seasonal products. 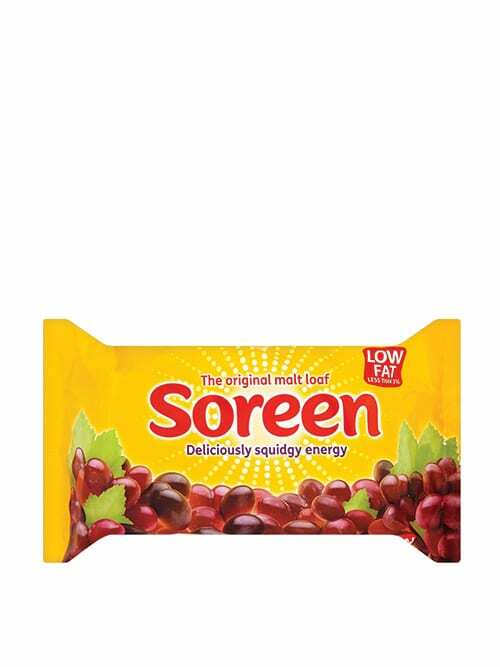 Today, Soreen epitomises the very best in great British food and is firmly established as Britain’s number one malt loaf with a growing family of delicious fruit and malted products in a variety of sizes. 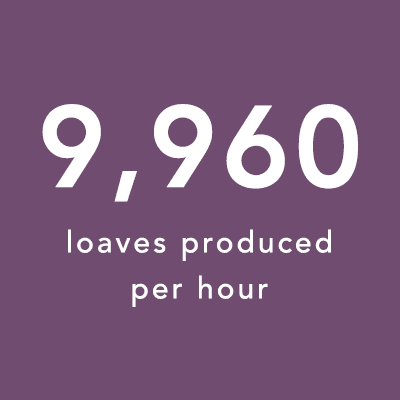 Over one million loaves per week are processed by our bakery, using a unique manufacturing process. 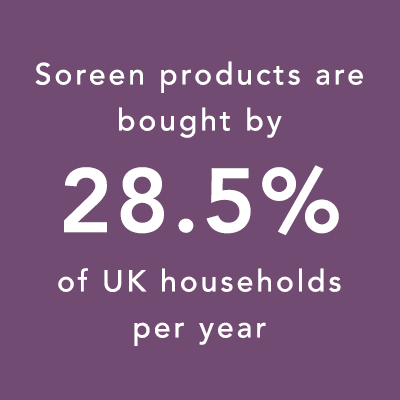 Currently Soreen stands as the third largest brand in the morning goods category, consumed by 28.5% of households. Soreen is widely distributed throughout the UK, and is making head way internationally. One of the main ingredients in making Soreen a successful business is the people who work at the bakery. We are 126 strong and growing. Over 60% of our staff have over five years’ service, which we recognise with our long service scheme. As well as a variety of positions in our bakery - everything from production operative to senior management - we also have a range of roles within our support functions. Soreen has achieved the ISO 14001 standard, an environmental management certification. As well as seeking continuous improvement in our environmental aspects and impacts, we have invested in significant physical measures to improve our performance, including window films and new drains etc. We are working closely with Groundworks to ensure we meet or surpass any legislation and best practices.